If you are a fan of Peanuts and Charlie Brown Christmas, then this CD is for you! 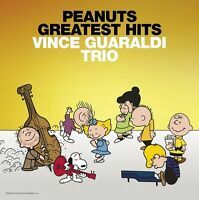 All the great musical numbers from the cartoon are here and not only do they bring back great memories from childhood, but the music as performed by the Vince Guaraldi Trio is great background music to play at your Christmas Party. It's also great to listen to while just hanging out at home. This CD really is a joy to listen to. I hope you enjoy it as much as I do. 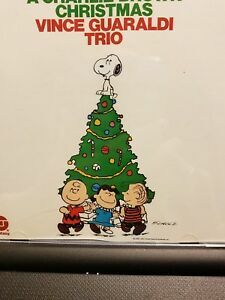 Hi, what can you say about this all time favorite Christmas soundtrack by The Vince Guaraldi Trio from the TV Special "A Charlie Brown Christmas". If you like the music from the video, (and who wouldn't the Trio is right on, tight and just so relaxed) then you will like this audio CD it's the remastered version from 1988 which, from the research that I had done, was supposed to be the better or best of the remastered versions available (this version was also reissued in 2000 on Fantasy). I have heard 2 remastered versions, this one and one from 2006 and, to my ears only, have found the earlier 1988 version to have somewhat better fidelity, the highs sound cleaner, the midrange seems fuller and the acoustic bass comes through with lots of bottom. Again this is only my opinion but having the choice, if this copy was ever lost or damaged, I'd replace it with another from the 1988 remaster. Thanks and Enjoy!! Just like the movie, A Charlie Brown Christmas, this disk stays true to the origninal intent. This collection has absolutly no alterations, except the sound quaility has been cleaned up so it's clearer. -The chior in "Christmas Time" can be heard. Too often when this song is played on the radio, the singers are faded into the background where they can't be heard. Instead, this collection tries to preserve all aspects of the songs. Well done! A Charlie Brown Christmas...what else needs to be said? When anyone hears "Linus & Lucy" they know it is a beloved piece of Christmas music, from what is probably one of the best loved Christmas shows of all time which just happens to contain some of the finest, most memorable contemporary Christmas music of the last half of the twentieth century. It is "A Charlie Brown Christmas"...what else needs to be said? 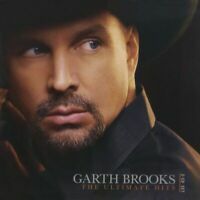 This CD is awesome! The music is incredible. It has the music to make you want to get up and dance. It also has the music that you would want to sit and chill to as well. All of the songs are great, as they are from the TV special. I purchased this CD because I loved the music in the show! It allows me to listen to the music all year long and not just at Christmas time!